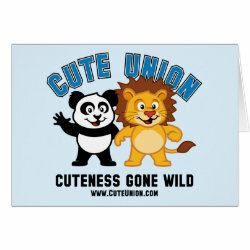 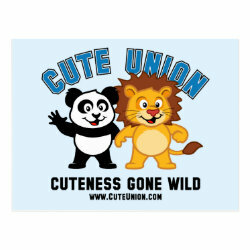 This cute collegiate design features our cute panda bear and his friend the lion together having fun. 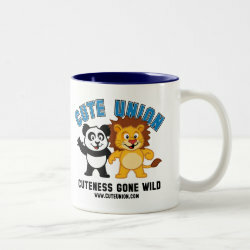 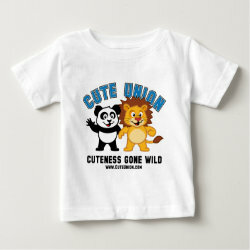 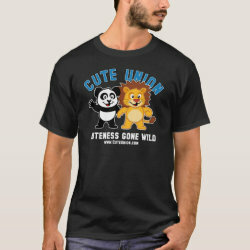 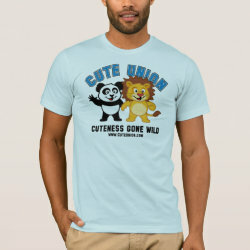 The design reads Cute Union - Cuteness Gone Wild. 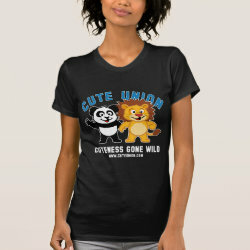 This makes a great gift for anyone who loves wild animals and cute cuddly things.